GLOBAL DERIVATIVES = $1.5 QUADRILLION TIME-BOMB! | Concise Politics -- Your Time should NOT be wasted. GLOBAL DERIVATIVES = $1.5 QUADRILLION TIME-BOMB! Beyond our control if unexpected turmoil strikes = Predicted by Bob Chapman + Paul Craig Roberts = Could “destroy Western civilization” = Catastrophic failure awaits = Just a matter of time. Ellen Brown = Calls “derivatives casino” = A last-ditch SCAM to prop up pyramid scheme” Crumbling under its own weight. Warren Buffett called derivatives “financial time bombs” = Earnings “wildly overstated based on estimates whose inaccuracy may not be exposed for many years.” = Corporate bosses FORCE financial executives to manipulate profits in any quarter using TRICKS. 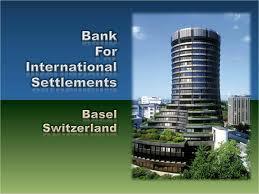 BIG BANKSTERS = Financial and political powerhouses RIPPING OFF World Economies to their own advantage. SURVIVAL of Civilization = REQUIRES smashing and Dismantling BIG BANKSTERS into small, impotent pieces to PUT Money back into public hands = Where it belongs. Private Criminal Predators = Entrap, Control, and Destroy Greece and other small/weak NATIONS = Unrepayable Debt Peonage = Bleed them dry into third world dystopian backwaters = BANKSTERS Grow Richer and More Powerful using a wholly corrupt system going bust. July 23, 2015 Washington Post Editors = “Don’t worry, be happy “The Fed’s stance on banks and capital makes good sense.” = BUT Half-intelligent economics students know better. = LIE is “US financial system …less bailout-prone since” then 2008-09 crisis. BIG BANKSTERS = Buy politicians like toothpaste = To proved LEGALIZED FRAUD in return for BIG Campaign BRIBES and other special favors. FACT: Fed’s ‘stress test’ in March = Ignored monstrous $1.5 TRILLION derivatives ticking time bomb. Bill Clinton = ALLOWED CREATION OF TOO-BIG-TO-FAIL + DERIVATIVES GAMBLING CASINO CULTURE of anything goes = Counter-parties don’t have funds to pay on demand + Bubbles GROW AND BURST like 1929. This entry was posted in GLOBAL DERIVATIVES = $1.5 QUADRILLION TIME-BOMB! and tagged GLOBAL DERIVATIVES = $1.5 QUADRILLION TIME-BOMB!. Bookmark the permalink. ← AMERICANS = NOW YOU KNOW WHO AND WHAT IS BEING DONE TO YOU BY ISRAELIS RUNNING OUR CONTAMINATED GOVERNMENT = ANTI-AMERICANS OUT TO ENSLAVE OR MURDER US AS DEFINED IN JEWISH TALMUD!